Pioneers in the industry, we offer diaphragm vacuum pump, oil free vacuum pump, diaphragm vacuum pumps, hplc vacuum pump and solvent filtration kit from India. 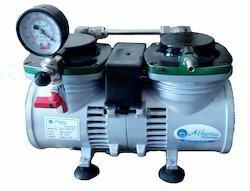 Athena We have gained recognition as an eminent enterprise, devotedly engaged in offering a broad range of Diaphragm Vacuum Pump. Using quality approved material with the assistance of modern techniques, this pump is manufactured under the strict guidance of deft workforce at our well-established production unit. In addition to this, we provide our entire range in various specifications, in order to fulfill the varied requirements of our clients. With the constant support of our dexterous crew of technocrats, we are fulfilling the varied requirements of clients by offering optimum quality Oil Free Vacuum Pump. The offered pump is used in various industries. 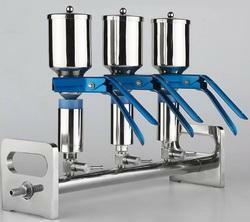 This pump is manufactured at par with industry standards of quality making use of the finest quality material. This pump is broadly acknowledged for its sturdiness and easy installation among our clients. 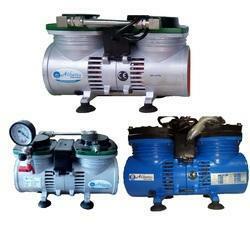 We offer 100% oil-free Diaphragm Vacuum Pumps/Compressors. They can be used either as vacuum pumps or oil-free compressors and are designed for delivery of uncontaminated air, gases or va pours. They are suitable for producing oil-free compressed air or vacuum. Low operational cost of equipment. This results from the modest cost for replacement of diaphragm and valves. Pollution Monitoring Equipment, Chemical Analyzers, Laminating press, Material Handling Equipment, Labeling Machines, Plastic Welding Machines, Gas Welding Machines, Soldering iron, Agitation of Chemicals in Tanks, Aeration. Solvent Filtration Assembly Complete kit, ready to use. Ideal for filtering HPLC solvents, or any other general purpose filtration. All Glass Membrane Filter Holder, Borosilicate Glass, 47mm, with Sintered disc for membrane support and aluminum ‘duck’ clamp. 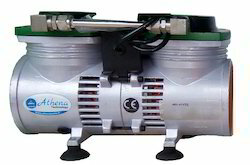 Vacuum Pump, Model: ATV-15. Compact and efficient. Silicon Rubber Tubing 6x9mm -1 meter. Pack of 100 Membranes, 47mm. SS Membrane Filter Holders Stainless Steel Membrane Filter Holders. Made from SS 316. Looking for Vacuum Pump Oil Free ?